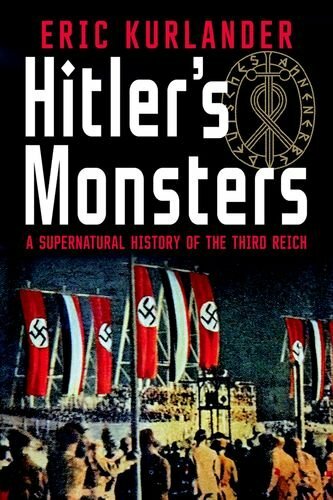 This morning I read a book review on Eric Kurlander’s book, Hitler’s Monsters: A Supernatural History of the Third Reich. I did not expect a book review on a topic like this, until I read the review and discovered the title was spot on, but not in the ways I was thinking. Without going into extensive details, a few facts of recent America were embedded from a 2009 Pew Survey. 65% believe they have had at least one supernatural experience, which should not be considered to include a religious experience. Whether you say “yay” or “nay” to that question, what is irrefutable is the religious practices of Americans can only be considered polytheistic and pagan. A small few live their faith and are point in fact, “in Christ.” The rest are poorly christened, perhaps to the point of only going to church 1-2 times per year, which also happen to be paganized “Christian” celebrations. So what is the answer? The only answer is more Jesus. Believers cannot rest on their laurels. They must be active, they must put on the whole armor of God if they are going to actually be more than a pew sitter or Christian in name only. The Devil and his failing empire are not threatened by comfortable Christians. “Comfortable Christians” have nothing to fear from the Devil in this life, but they may in the next. It is time to rise up Christian. It is time to open your Bible. God has a specific plan for you. That plan does not involve you being comfortable. That plan involves you sharing the Gospel and warning people of the things to come you know are reality and they think are only a myth. Death is not a myth and neither is eternal life. People have a choice, will they choose life or death? Sadly, most will never even be given the prompt to choose because Comfortable Christians have decided their comfort is more important than the Word of God and being In Christ.